As Solar Power International kicks off in California, the U.S. solar industry is taking a major step toward alleviating one of the biggest hurdles to installing solar on homes and businesses – cumbersome and inconsistent permitting and inspection processes. 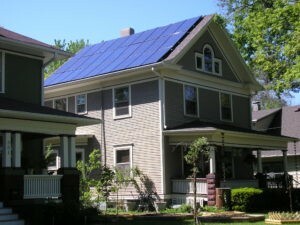 Photo: Bob and Gina’s solar-powered home in Lincoln. Installed by SWT Energy. A solar group buying program in Philadelphia is helping to lower costs and change perceptions about rooftop solar in the city. Solarize Philly, an 18-month initiative supported by the U.S. Department of Energy’s Solar in Your Community Challenge, is aimed at expanding access to solar. So far it’s completed 168 projects accounting for about 800 kilowatts of capacity. TetraPak Adds Solar Array to Headquarters in Texas, Energy Manager Today: Tetra Pak plans to install a new solar array at the company’s US and Canada headquarters in Denton, Texas. Once up and running, the array will produce 1,027,638 kWh annually, according to the global food processing and packaging solutions company. As a member of RE100, Tetra Pak aims to use only renewable electricity across all global operations by 2030. Currently global company gets half its electricity supply from renewables. Tetra Pak has more than 23,000 employees based in over 80 countries working on food processing and packaging. 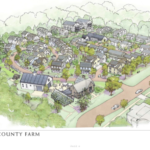 An 18 MW project developed by BQ Energy has turned otherwise unusable land into enough generation to power 12% of the city of Annapolis. Having joined the company as an intern, MidAmerican CEO Adam Wright combines in-depth experience of the business with the competitiveness of a former professional NFL player as the utility works to deliver on its 100% renewable energy promise. The 100% renewables benchmark will be met — even exceeded — when the company’s $922-million 591MW Wind XII project is completed in late 2020 or 2021. It is subject to approval by the Iowa Utilities Board. 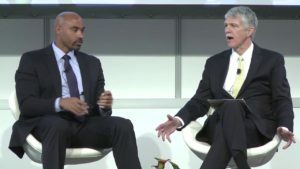 Photo: Adam Wright, left, interviewed by AWEA CEO Tom Kiernan at Windpower 2018, YouTube. CleanTechnica sat down for a phone interview with Enel’s Alberto Piglia. For those of you new to Enel, the company’s ventures as a sustainable energy provider are on high profile display in the US, with its massive 320-megawatt Rattlesnake wind farm in Nebraska. Mr. Piglia is head of e-mobility services for Enel X, the wing of Enel tasked with marrying digital solutions to zero emission driving. Think cloud-based services and you’re on the right track . . . 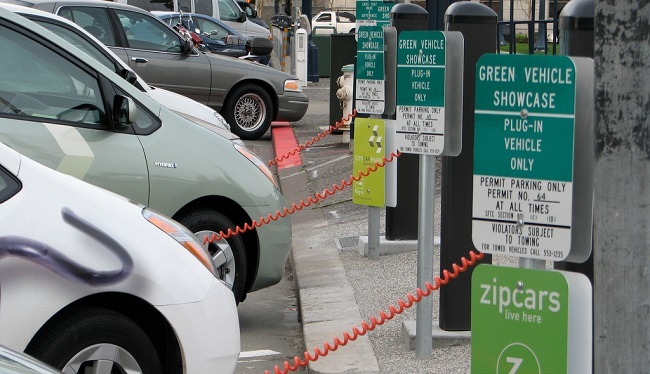 The EV charging market has been heating up in the US, too, so brace yourself. Enel X is casting its eye on the US and other EV charging markets beyond Italy (if all this is beginning to sound familiar, keep your eye on the company eMotorWerks, which was acquired by Enel just last fall). 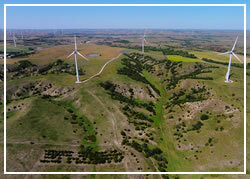 The assets in the sale include the Broken Bow II wind farm in Nebraska. University of Rhode Island News. The researcher is James H. Miller, University of Rhode Island professor of ocean engineering. Miller’s acoustic monitoring of the wind farm is part of an effort by the federal Bureau of Ocean Energy Management to understand the impact of wind turbine construction and operations on the environment so future wind farms can be planned appropriately. The Bureau has funded Miller — through Nebraska-based engineering consultants HDR Inc. — to evaluate the sound from wind farm construction and operations at other locations along the East Coast. If you build it, they will buy it: sPower refinances $499 million of wind and solar, PV Magazine. The independent power producer has closed on a $499 million, investment grade, private placement financing representing approximately 650 MW of utility-scale wind and solar power projects. Exclusive: Exxon, Chevron join global industry climate group, Axios. Some of America’s most powerful U.S.-based oil companies — ExxonMobil, Chevron and Occidental Petroleum — are joining a global consortium of oil and gas producers seeking to address climate change, Axios has learned. Why it matters: The companies are the first U.S.-based members of the group, called the Oil and Gas Climate Initiative. This is one of the strongest signs yet of how America’s biggest oil companies, under pressure from investors and lawsuits, are joining most other U.S. corporations in working to reduce greenhouse gas emissions despite President Trump reversing America’s course on the matter. This entry was posted in NewsBlog and tagged barriers to solar energy development, interviews with industry leaders, landfill solar, Nebraskans for Solar NewsBlog, Oil And Gas Climate Initiative, renewable energy financing, renewable energy news, Solar Energy Industries Association (SEIA), solar group-buying programs, solar on vacant and contaminated land, solar permitting, Solar Power International, solar-powered housing developments, utility solar on September 24, 2018 by Helen Deffenbacher. IREC has released a new guide developed for local governments, housing providers, utilities and other interested stakeholders to better understand the various pathways to solar for multifamily housing, based on the experience in Seattle, Wash. According to the group, the guide will help states and municipalities as they develop the tools needed to make this next step toward a cleaner and more equitable energy future. Read more here. The guide, titled “Access for All: Pathways to Expand Solar Options to Renters and Multifamily Households in the City of Seattle,” is available for download here. 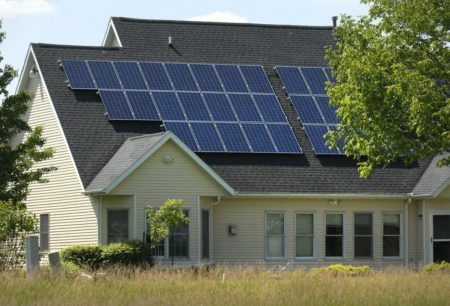 Is solar+storage eligible for net metering in Massachusetts? Tesla and others want to know, Utility Dive. Massachusetts could be the first state to provide comprehensive guidance focused solely on pairing energy storage with solar panels. SPP Regional State Committee Briefs, RTO Insider. SPP Vice President of Operations Bruce Rew said wind will likely become the No. 2 fuel source for 2017, behind only coal. Coal has accounted for 46.9% of the RTO’s fuel mix year-to-date, with wind averaging 22.0% and gas 19.4%, respectively. Almost 16.7 GW of wind energy is installed and operational in SPP, with another 690 MW registered but not yet operational. This entry was posted in NewsBlog, Solar for Lower-Income Households and tagged benefits of installing solar on affordable housing, Nebraskans for Solar, Puerto Rico, renewable energy news, solar group-buying programs, solar+storage on November 5, 2017 by Helen Deffenbacher. In the last four months of 2015, a community-based “group purchase” program helped the Nissan dealership in Boulder, Colorado sell four times as many Leaf electric cars as the dealership sold in the same period in the prior two years—62 cars per month vs. 13 cars per month. During the campaign, this one modestly sized dealership sold 5% of all Leafs purchased in the entire country. That is a remarkable testament to the effectiveness of the group purchase concept for electric vehicles, which is starting to be replicated in other communities. The program was launched by a consortium of local governments, led by Boulder County, in partnership with several local organizations who pledged to provide outreach about the program to their employees and constituents. Continue reading. 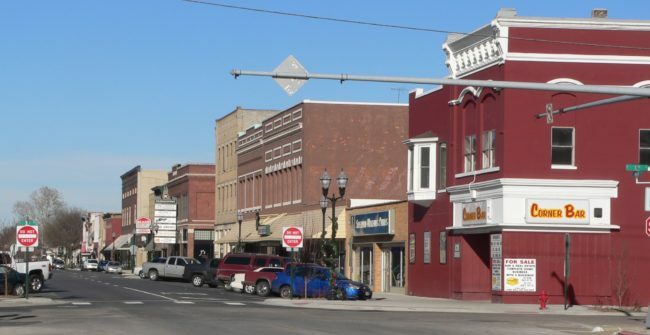 This entry was posted in Financing, Nebraska / Midwest News, NewsBlog and tagged community-based solar group purchase programs, EV group purchasing programs, Michael Shepard, Nebraskans for Solar, solar group-buying programs, Utility Dive on May 5, 2016 by Helen Deffenbacher.